A real post-Katrina revitalization of New Orleans would have meant more jobs and public services, not cutbacks and privatization. “We finally cleaned up public housing. We couldn’t do it, but God could.” So crowed Richard Baker, the real-estate entrepreneur and former Baton Rouge Republican congressman, while bantering with lobbyists on the House floor in the days after Hurricane Katrina floodwaters busted through New Orleans’s ill-maintained federal levees and swamped the city. But, as all good market fundamentalists know, God helps those who help themselves. Providence’s floodwaters had inflicted little actual damage on New Orleans’s sturdy brick public housing structures, so to ensure that the Lord’s will would be carried out, Republicans worked with their willing neoliberal executioners across the aisle in New Orleans and Washington DC, including the Obama administration. As we commemorate the tenth anniversary of Hurricane Katrina, Baker and company can celebrate the achievement of their neoliberal kingdom. With God’s invisible hand at the wheel, authorities have not only demolished all of the city’s remaining traditional public housing, but have also converted almost the entire public school system into charters, eliminated the teachers’ collective bargaining agreement (which the US Supreme Court has recently sanctioned by refusing to hear a court challenge), and have overseen the permanent closure — despite it receiving little flood damage — of the public hospital dedicated to serving the poor. Of course, there were heretics, dissenters against this raft of anti-worker policies. A particularly tenacious challenge was mounted by public housing activists, who managed to keep the bulldozers at bay for several years. The movement’s most dramatic confrontation, which received national attention, came at the city council chambers on December 20, 2007. Following a directive from council president Arnold Fielkow to “restore order,” the city police proceeded to taser, pepper spray, and arrest scores of people who had gathered inside and outside the council chambers to register their objections. With “order restored,” the city council’s three black and four white members voted unanimously to approve demolition of four large public housing developments that thousands of low-income African Americans called home. Mayor Ray Nagin — who now wallows in federal prison for chump change corruption, rather than his real crimes overseeing the looting of the public sector — signed off on the measure, adding a few phony provisos that did nothing to protect residents. While throwing thousands of low-income black families out of their homes did produce protests, including condemnation by a United Nations human rights body, this crime failed to attract the tens of thousands of protestors that descended upon another Louisiana community — Jena — just three months prior to the city hall fracas. In Jena six black high school students were slapped with felony charges after getting into a schoolyard fight with a white student, all of which took place in the toxic context of white students hanging a noose from the “white schoolyard tree” after black students had violated local taboos around white space. Cheerleaders for demolishing public housing like the editor of New Orleans magazine, Errol Laborde, took a page from their pro-segregationist forefathers and denounced the December 20 protest as the product of outside agitators. Laborde was partially right — the public housing movement, drawing on the lessons of the Civil Rights Movement, had called for supporters from around the country to descend upon the city and demand that public housing not only be protected, but expanded. Unfortunately the housing activists did not attract the kind of attention that Al Sharpton, radio host Tom Joyner, or many other local and national left, civil rights, and African-American organizations had given to the Jena Six. Why the disparity in responses? Why could we mobilize thousands for the Jena Six but not thousands for the multitude of poor African Americans in New Orleans driven from public housing, let alone the even more numerous black workers, students, and patients dispossessed of their public schools and hospital — all of which laid the groundwork for deeper attacks on the entire working class? Some might object to this comparison. The Jena Six fight, after all, was a battle against the mass incarceration system that has ensnared millions, particularly African Americans. There is merit to this argument, which the current movement against police terror underscores. But it doesn’t explain the inability or unwillingness of the Left and self-identified antiracist groups to challenge the deeply racist, capitalist assault on post-Katrina New Orleans, an assault that hasn’t abated there nor across the country. In his study of housing struggles in Chicago during the 1940s and 1950s, political scientist Preston Smith develops the concepts of racial democracy and social democracy; both are useful in thinking about the New Orleans-Jena conundrum. Involving potent symbols of racial terror and set in a rural Southern town dominated by white political officials, the Jena Six case was easily placed in a racial democracy framework, which emphasizes racial disparities and outrages (in this case the criminal justice system). In contrast, the public housing fight in New Orleans — as well as other struggles around public services — was a social democratic fight. The question was not one of racial disparities per se; it was not one of equalizing the market’s inequitable distribution of housing and other resources across race (or gender, sexuality, ability, etc.) — that is, of equalizing the percentage of all races with none, lousy, decent, and luxury housing — which is how social justice has come to be defined under neoliberalism. Instead, the public housing movement demanded housing for everyone (as well as other essential needs), as a right that was the responsibility of the state to fulfill. In posing this demand, the public housing movement challenged core neoliberal principles. The New Orleans public housing fight was confronting, head on, the dominant neoliberal urban capitalist political economy, for which privatization of public services, particularly public housing, is central. Furthermore, the post-civil rights black political leadership — black elected officials and their allied contractors, NGOs, ministers, and layer of academics — have, for the most part, been fully incorporated into this political economy, in New Orleans and in cities across the country. Thus, while the public housing fight was central to combatting racism, it was not a struggle that could be neatly placed in a racial democracy framework of white winners and black losers. It was a fight that required, for black public housing lives to matter, the protection and expansion of state-delivered public housing and other public services — all of which entailed a direct confrontation with what Glen Ford and Bruce Dixon term the Black Misleadership Class in New Orleans, along with their white real-estate partners and bipartisan political allies in Washington. The political implications of this type of struggle were simply not palatable for the leaders that mobilized tens of thousands to fight for “racial justice” two hundred miles northwest of New Orleans in September 2007. Although Richard Nixon is now, with good reason, seen as our last liberal president due to his concessions on labor, environmental, and affirmative-action protections, the decades-long assault on public housing began under his reign. The Nixon administration instituted a moratorium on new public housing construction and introduced a private housing voucher program that, along with the subsequent austerity imposed on New York City and concessionary contracts accepted by the auto unions after the first Chrysler bailout, marked the beginning of the new class war from above that we now call neoliberalism. Then, under the last two years of the Carter administration, the budget of the Department of Housing and Urban Development (HUD) — the federal agency overseeing public housing, which was led at the time by former New Orleans Mayor Moon Landrieu — was slashed. These cuts were deepened under the Reagan administration and its new African-American head, “Silent Sam” Pierce (who Reagan, unable to recall Pierce’s name in his cabinet meetings, referred to simply as “Mr. Mayor”). The departure of Landrieu for Washington at the end of his second term in 1978; the election of the city’s first African-American mayor, Ernest “Dutch” Morial; and the subsequent election of a black majority city council marked the beginning of the rise of black political rule in New Orleans. While resting on a black majority electoral base, Morial’s key governing partners were, like most cities, in real estate and banking. This contradictory alliance put Morial, and his successors, including his son, Marc, on a collision course with key segments — particularly public housing advocates — of his electoral base. By the mid-1970s, New Orleans’s public housing stock — following the expansion of the “scattered sites” program, which involved building smaller collections of apartments and which the Kerner Commission said would undermine the organizing power of large developments — encompassed some 14,000 units. The “HANO empire” (Housing Authority of New Orleans), as the neoliberal deconstructors would later derisively tag it, was spread out at the time among ten big developments and numerous, smaller scattered sites, and housed about 60,000 people, which by this time were almost all black. Yet this important protection from a hostile private housing market — particularly for poor black families — was increasingly seen by the black leadership class and their governing allies as a major impediment to their development agenda. Budget cuts coming from Washington meant less money was available to maintain the developments and, equally importantly, to quiet opposition from a particularly demanding section of the black working class. At the same time, gentrifiers (or “urban pioneers,” as they were called at the time) began targeting various formally disinvested urban neighborhoods that were close to public housing, and the development of a tourism corridor along the Riverfront, French Quarter, and the city’s signature promenade, Canal Street, also increasingly placed public housing in the crosshairs of the city’s post-civil rights, biracial, governing elite. The local black head of state and his governing partners might have decided that public housing had to go, but public housing communities weren’t going to give in without a fight. When Morial’s public housing commissioners raised rents to 30 percent of a family’s income —permitted as part of Reagan’s public housing “reforms” — and forced residents to pay utilities despite increasing stagnation of poor people’s incomes in the 1980s, residents rebelled. The most combative protest occurred at the St Thomas development, which organized a year-long rent strike that successfully beat back the utility fees. Despite the victory, Morial continued to use HUD money to subsidize developers, putting on a boondoggle World’s Fair rather than helping hard-pressed public housing residents. The attacks intensified under Morial’s successor, Sidney Barthelemy (1986–1994), who now works as the chief lobbyist for HRI Properties, a real-estate company whose CEO spearheaded the assault on public housing. Barthelemy, aided by his white real-estate and black contactor cronies, double-crossed public housing leaders who had publicly endorsed his campaign by trotting out a massive privatization and downsizing plan in his second year in office. A militant public housing faction, and their advisers who had garnered positions in the administration, broke with Barthelemy and openly denounced the plan. The proposal was dead. Nonetheless, a policy of demolition-by-neglect — declining to make necessary repairs or fill abandoned apartments — which funding cutbacks helped justify, proceeded apace. The turning point for New Orleans public housing came in the 1990s with the election of Marc Morial as mayor (1994–2002) and Bill Clinton as president. Incubated under Bush Sr, and legitimated by invoking sociologist William Julius Wilson’s idea of “deconcentrating poverty,” Clinton’s HOPE VI program provided federal monies and authority for turning over public housing to private management and massively downsizing “distressed” public housing. Developers in New Orleans and across the country, along with their pliant public servants, seized the opportunity to slap any housing development with the “distressed” label if it was deemed to be in the way of their development agenda. Morial embraced this agenda, and by the end of his reign the public housing stock had been nearly cut in half. When Katrina hit there were five conventional developments still standing, encompassing some 5,000 apartments. Some of the residents who had been able to make it back to the city, and their activist allies, mobilized to stop the Bush administration–controlled local housing authority from using the storm as a pretext — as it surely was, since the solid brick structures did not face much damage — to permanently close and demolish the developments. Although the “Big Four” did go down, the movement was able to preserve the nearly 900 handsome red brick apartments at the Iberville development, which sat just outside the French Quarter. But, as we have seen with public education and so many other areas, Obama and the Democrats have been able, without even a whimper of protest, to push regressive policies that Bush and the Republicans would envy. So it was with Iberville. The new Obama-installed HANO administrator — David Gilmore, a long time operator who had been involved with cooking up HOPE VI in the early 1990s — proceeded to apply for and win a federal “Choice Neighborhood” HUD grant — the supposed new and improved HOPE VI — for Iberville. Shaun Donovan, Obama’s earnest young HUD secretary, sold the new program as a great improvement over HOPE VI since it would guarantee “one-for-one” replacement of public housing and include a rejuvenation of the entire surrounding neighborhood. Despite these promises, the Iberville redevelopment program has only guaranteed funds for an eventual 304 onsite public housing apartments — just one-third of the original units. The promised 600 or so off-site public housing apartments are just that, promises, and there is currently no money to satisfy the one-for-one replacement guarantee, let alone to build the thousands of other affordable apartments and other amenities promised under Obama’s vaunted new urban initiative. Why Do “Antiracists” Hate Public Housing? Policylink — a liberal “research and action” think tank dedicated to achieving “social and economic equity . . . especially [for] people in low-income communities and communities of color” — exemplifies this position. Its board includes individuals with stellar antiracist credentials like Joan Walsh, the Salon editor, frequent MSNBC guest, and author of a recent piece attacking Bernie Sander’s economic agenda for being blind to racism; sociologist Manuel Pastor, head of the school’s Center for Justice, Tolerance and Community; and, of course, William Julius Wilson. At Policylink’s 2008 National Summit on Equitable Development, Social Justice, and Smart Growth — held in New Orleans while bulldozers were turning thousands of public housing apartments into rubble — Blackwell honored developer and Policylink board member Richard Baron. His company, Baron, McCormick & Salazar, was overseeing the demolition and “redevelopment” of one of the New Orleans’s targeted public housing developments that the public housing movement was protesting and which United Nations Human Rights rapporteurs had condemned as a racist attack on poor black Katrina survivors. The assault on public housing, combined with the broader failure to rebuild private affordable housing stock that was destroyed in the storm, have intensified the housing crisis faced by the city’s low-wage workforce. More than one-third of all renters in New Orleans are “severely rent burdened” — defined as paying over 50 percent of one’s income for rent — one of the highest rates in the country. The average rent for a two-bedroom apartment has jumped from $676 in 2005, to $950 in 2015, a 40 percent increase that far outstrips the 22 percent increase across the South. As a result, low-income households are increasingly being priced out of neighborhoods like Bywater, Treme, St Roch, and Mid-City. Skyrocketing rents and lack of affordable housing have also kept nearly 100,000 former New Orleanians (mostly black and poor) in exile, preventing them from returning home a decade after Katrina. The housing crisis in post-Katrina New Orleans — and in cities across the country — is an indictment of not only Policylink, but a whole collection of ostensibly progressive, antiracist groups that advocate the demolition of public housing and its remaking as “mixed-income” developments that allow only a fraction of the former residents to return. As with charter schools — another cornerstone of the urban revanchist agenda that is defended as the “civil rights movement of our day” — an antiracism divorced from the dominant political economy is invoked to advance and legitimate a deeply regressive agenda. Walter Isaacson, the former CNN chief, past chairman of Teach For America, vice-chair of a state board overseeing spending on the recovery, and current president of the Aspen Institute, offered a prime example of the recent round of celebratory toasts in a New York Times piece earlier this month. The well-connected, native New Orleanian cheered on the “new type of School system” and the new entrepreneurial spirit that the post-deluge wave of young, white professionals and investors have fomented, including the establishment of the “New Orleans Entrepreneurial Week” jamboree. Others clamor for a similar disaster that would allow a neoliberal makeover in their own city, as Chicago Tribune editorial board member Kristen McQueary prayed for in a recent editorial. McQueary’s desire for a cleansing disaster was widely pilloried, but since the 2008 global economic crisis, her wish has increasingly been realized in cities around the country. New Orleans-type municipal “innovations” — under the pretext of manufactured fiscal crises — have been imposed everywhere from Harrisburg to San Bernardino to Detroit. Puerto Rico is next on the hit list, and globally, countries like Greece have undergone years of fiscal waterboarding. Brooks’ cynicism aside, the extension of the New Orleans Model since 2008 does contain a silver lining of sorts in that it provides an opportunity for a broader political fight-back that did not exist in 2005. 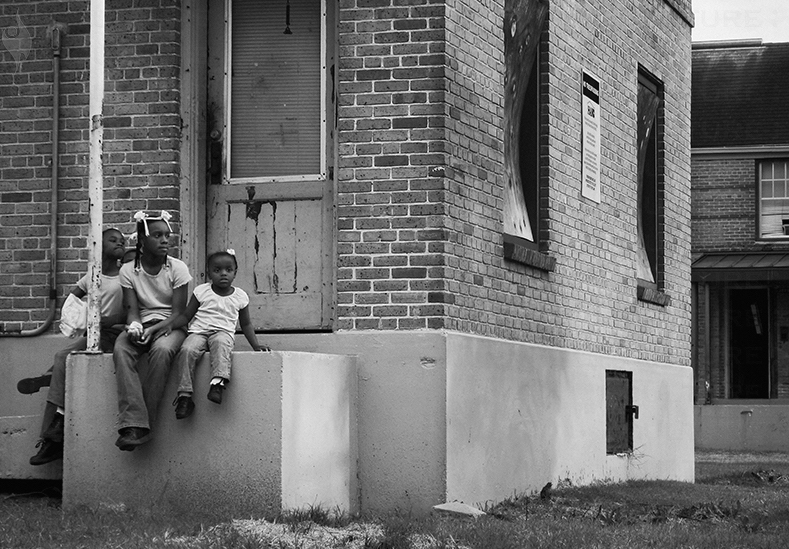 In the aftermath of Katrina, the public housing movement in New Orleans folded its demand to preserve and reopen public housing and other public services, into a broader push for a massive expansion of those services as part of a new, democratically controlled, direct-government employment public works program that would be open for all, including newly arriving immigrants to the city and the formerly incarcerated. That demand faced tough sledding, but now, with larger swathes of the population swallowing similar medicine, there is an opportunity to mount a counter-hegemonic agenda: Jobs For All, Free Public Services for All through public works. A demand for guaranteed employment and expanded public services moves beyond the false choice of either accepting the further decay of public housing, public schools, and other public services on one side, or their privatization in the name of an antiracist revitalization on the other. But how can the Left gain traction for a demand like this? Some, who are critical of movements that emphasize antiracism rather than the need to critique capitalism itself, might point to the Bernie Sanders campaign, which has drawn enormous, enthusiastic crowds to hear his populist message, which includes as a central plank a plan to create 14 million jobs through a public works infrastructure program. But there are a number of problems with riding the Sanders bandwagon to win Jobs For All and a progressive reconstruction of New Orleans. Sanders’s jobs plan continues the current contracting-out system that siphons off profits to construction companies, and avoids a systemic critique of how the US state spends money on war and Wall Street rather than providing jobs and public goods. Sanders has also called for strengthening borders, rather than legalization for all. A radical program to address the exploitation of undocumented workers and the criminalization of people of color is integral to the fight for good jobs for all — as the ugly pitting of Latino immigrants against African-American workers in post-Katrina New Orleans underscores, power requires unity. Finally, there is the central problem of hitching a movement for public works to the Democratic Party, the graveyard of progressive social movements. There is simply no chance that any candidate could get Public Works and Jobs For All passed using traditional political channels. The only way we can force the ruling class to adopt a radical demand like this — or at least win concessions to improve people’s lives in the short term — is by building a large, militant, politically independent, class-wide national movement composed of local committees rooted in local struggles. A key part of this insurgency would be independent electoral initiatives, initially at the local level, running Jobs for All, Free Public Services for All candidates. Only when faced with a politically independent, democratically organized movement that threatens their power — a movement that cannot be derailed by being brought under the control of the Democratic Party — will ruling elites, which currently has little fear of the Left, begin to respond to our demands. A movement like this would not only express discontent, it would also clearly articulate what we are fighting for. As civil rights veteran Diane Nash argued at the fiftieth anniversary of the Selma march, critiquing the Occupy movement, this is a defining feature of a social movement that distinguishes it from simple protests articulating discontent but offering no concrete demands or objectives. What is urgently needed now is not a laundry list of grievances and demands, but a coherent program and alternative vision of the world. This is what the demand of Jobs for All, Free Public Services for All provides. This type of struggle will of course be an uphill battle. The current amalgam of US activists are for the most part tied to single issues, and are moored to the nonprofit-foundation complex. Objections will probably also be raised from some sections of the Black Lives Matter movement, who might dismiss the project as “weirdo populist economic determinism,” as one prominent activist recently put it. But, as RL Stephens II, founding editor of Orchestrated Pulse, argued in a critique of pronouncements by some Black Lives Matter leaders, “the idea that racial injustice and economic injustice are parallel issues . . . is patently false, ahistorical, and just wrong.” The demand for public works, for jobs and public service for all, was seen by many Civil Rights Movement leaders as central to addressing black oppression in America by leaders. Christian Parenti is right when he argues that police brutality and mass incarceration are intimately connected to managing the mass unemployment and poverty produced by the ruling class’s deindustrialization agenda over the last generation. The central questions we need to confront for a genuine reconstruction of New Orleans won’t be addressed during the official tenth anniversary Katrina commemoration, which includes Mayor Landrieu’s “Day Of Volunteerism” cosponsored by Walmart and other Fortune 500 companies. The National Urban League’s CEO and former New Orleans mayor, Marc Morial, will contribute to the corporate circus with the “Katrina Rise 10” conference, conducted in partnership with JP Morgan Chase and whose panels include an array of charter school supporters. In contrast to this celebratory hoopla and shallow reflection, A People’s History of Hurricane Katrina Conference, scheduled for this Sunday, will bring together local activists and other critical thinkers to address the principal issues: documenting the ruling-class crimes inflicted on New Orleans’ people, highlighting and critiquing the resistance that was mounted, and identifying what we need to do to build a movement that can obtain a real people’s reconstruction of New Orleans, the US, and the world. Building a movement — to paraphrase the title of an essay on Katrina by the late Marxist geographer Neil Smith — is the only thing that can win us a real people’s reconstruction. Jay Arena lived in New Orleans for over twenty years, where he was involved in various community and labor organizing initiatives. He is currently an associate professor of sociology at the City University of New York’s College of Staten Island.